Kristin Mallon, CNM, MS, RNC-OB is a board certified nurse midwife and a mother of four. She began practicing as a private midwife in 2006 in Brooklyn, NY. She earned her Master’s degree in midwifery from New York University and nursing degree from Johns Hopkins University in Baltimore, MD. While earning her degree at Johns Hopkins, she co-authored a breastfeeding resources handbook with Dr. Linda Pugh. In 2012, Kristin became a certified obstetrical nurse and has additional training in herbs and homeopathic remedies, lactation and nursing, nutritional medicine, nutrigenomics, and natural weight loss. Kristin has a passion for research and practices medicine and midwifery that is evidence-based. 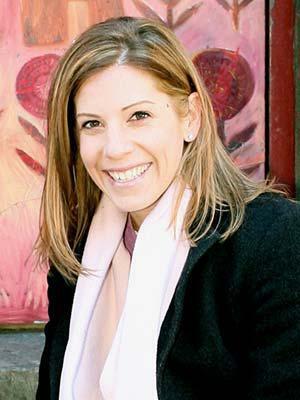 At NYU, Kristin was the editor in chief of a Geriatric Nursing Journal .She also worked at Columbia University in their Radiology HATCH research department. She also worked as a labor and delivery nurse, certified breast health speaker, and childbirth educator. She primarily attends to women in the hospital setting at HackensackUMC, making the hospital as home-like and comfortable as possible. She was a key founder in the concept of Integrative Obstetrics and combining midwifery with medicine for the best in childbirth. Kristin believes in a gentle, personalized birth experience and because she believes birth to be very individualized, she is a supporter of all types of birthing preferences including, natural hospital birth and birth with anesthesia.